The subject property is located in Brincang town about 200 metres off the main road of the town. The wooden building is still being tenant but not in good shape. However, the value is in the land not the building as Brincang is about 4,800 feet above sea level and the climate here is cool and the air is clean. 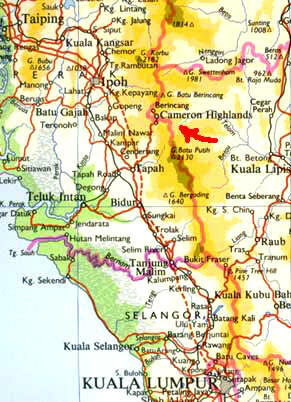 Cameron Highland is located on the main range in Peninsula Malaysia and is currently reachable through Tapah. There is a new highway from Simpang Pulai direct to Brincang (near Equatorial Hotel) which is almost completed. When completed, traveling time from Simpang Pulai to Cameron will then only takes about 45 minutes compared to the current winding roads which requires about 1 hour 45 minutes.